Thanks Jack for putting together these clips of me having fun in the recent large waves. Reported shark encounter with a surfer near Santa Ana River Jetties. Beach was still closed as of this morning with lifeguards making announcements over their loudspeakers. 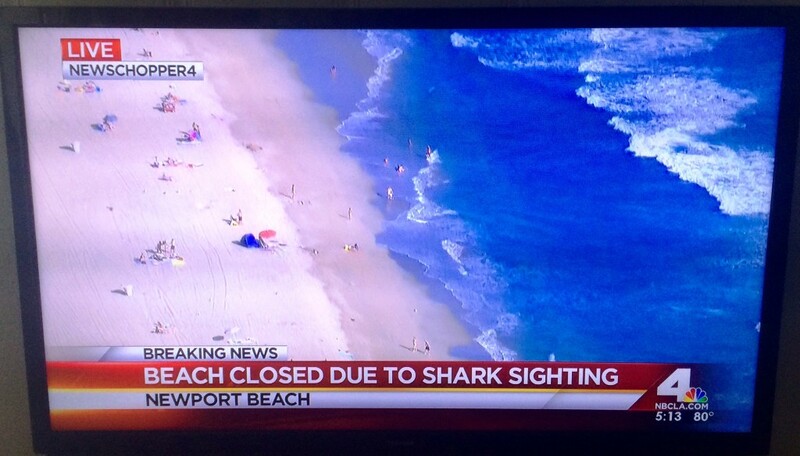 Also strange to note that all lifeguard towers were displaying the red flag after news of a shark in the water. The TV helicopters were above for a few hours as well. Over the past weekend I had a friend tell me he had seen a large fin out in front of HQ.